This guest blog is re-posted from the course blog for Social and Behavioral Foundations of Primary Health Care. The lesson about health literacy pertains as much to malaria as it does to cholera and handwashing. We thank Elohor Okpeva for sharing these experiences. In September 2011, there was a cholera epidemic across several States in Northern Nigeria, notably Yobe and Borno States. 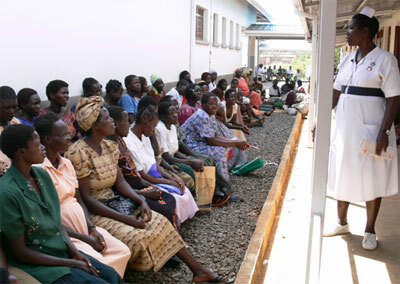 The Federal and State health Ministries were certainly overwhelmed and ill-equipped to handle the challenge. Repeated outbreaks of preventable diseases are not uncommon. The Centers for Disease Control and Prevention (CDC) describe cholera as a disease caused by the bacteria vibrio cholerae, rare in industrialized nations, yet on the increase in many other places including Africa. It is a life threatening disease but easily preventable. As a nation, Nigeria pledged to fulfill the indices of the MDGs. The fourth index of the MDG elaborated in the child survival strategies lists health education as its component. Locally, the Federal Ministry of Health also developed the National health promotion policy. Following the cholera outbreak of September 2011, an informal health education session in the pediatric clinic at the Umaru Shehu Ultramodern Hospital (Maiduguri, Nigeria) with focus on hygiene was undertaken by a corpsâ€™ Doctor. The women listened with rapt attention, often accompanied by incredible nods, as they were told the benefits and impacts of hand washing in curtailing the disease. It was an unfamiliar message. The Nationâ€™s leaders, health team and key affiliates must recognize the crucial role of health education in general public health. The maintenance of a healthy status begins with prevention and not clinical treatment. The advantages of disease prevention and consequent reduction in morbidity and mortality cannot be over-emphasized.